I beseech you therefore, brethren, by the mercies of God, that ye present your bodies a living sacrifice, holy, acceptable unto God, which is your reasonable service. And be not conformed to this world: but be ye transformed by the renewing of your mind, that ye may prove what is that good, and acceptable, and perfect, will of God. Brody MacCaulay woke to a pounding head and gut-wrenching thirst. What happened? The wind and sleet had blown through. Smoke from blazing canons no longer choked him. He no longer heard the deafening din of battle. Silence hung around him, slit at times by weak cries of wounded men. Cold weight pinned him upon icy ground. He could scarce draw a breath. Fingers dangled in his face. He felt the hand. Cold and stiff. He jerked back his own. Slowly he realized three clansmen crushed him against the frozen earth. Even as his heart flamed hot hating everything English, the sound of approaching voices alerted him to lie still. He dug numb fingers into blood-dyed ground to keep from springing up and using his dirk. Duncan, Collin, and Da were dead. He’d seen them fall. Sharp pain bit into his chest. He gritted his teeth. And Angus? Brody’s stomach heaved. Only a protecting angel could have spared Angus. Darkness, black as the smoke of gun powder, descended deep inside Brody’s mind. For certain his favorite brother lay dead, too. Brody wedged his anguish deep inside his heart, slammed the door, and disciplined his thoughts into calculated coolness. He was a warrior. The voices drew closer. Clipped. Not softly burred. A sliver of moon lit ice upon the ground, casting enough light to see heaps of bodies, twisted limbs. The voices grew close. Two scarlet-clad English soldiers stalked among the kilted bodies. With cold-blooded deliberateness, one of the soldiers ran him through with his bayonet, strangling the Highlander’s weak voice into silence. Boots clumped off. The voices faded. “’Tis almost light.” Brody’s own whisper, though hoarse as a rusty hinge, infused him with courage. Somehow he lived. He must fight his way to Ma and Fiona. Protect them before the English hunted them down. A piper’s family proved precious booty for scavenger soldiers. With Da and his brothers dead, his duty lay in protecting Ma and Fiona. He’d do whatever it took. He struggled free of the weight sprawled atop him. The dirk lay half-frozen to the ground beneath his cheek. He gripped the handle of the sgian-dhu, worked it free, and jammed it into the sheath on his right leg. Panting, numb hands planted on frozen earth, he pushed to his knees. The scent of bog-myrtle and blood clogged his nostrils. He gazed over the silent battlefield. What he saw would haunt him forever. Thousands of men lay still in the blue moonlight. The strength and youth of Scotland’s Highlands sprawled in heaps across the great expanse of the battlefield. Pale twisted limbs gleamed in the cold light. Bloody clan banners lay beneath bodies already stiff. A stab of guilt pierced Brody’s rage. Why had God spared him? If his brothers hadna sent him to the rear, there would not be a male MacCaulay left alive. Mayhap that was why he found breathing so unnatural. He shook his head. Dizziness. His pulse pounded, increasing the thundering pain. Touching his bloody left temple, he closed his right eye. The carnage before him went black. Brody shoved aside the heart-stopping thought of his brother. For Ma’s sake, for Fiona’s sake, he must escape before English sentinels spotted him. Hunched double, hiding among the bodies, he retrieved his targe and pipes and strapped them atop the claymore on his back. Despite the cold wind, sweat beaded his forehead. Belly pushed into frozen dirt, he crawled south toward the line of trees growing by the river Nairn. He’d head for high country. Find a place to hide. Barely able to see his own hands ploughing the earth, he crawled between bodies of family, friends, acquaintances drawn close in the heat of battle. Bodies, clad in blood-drenched tartan stared wide-eyed at the waning moon. Hurry! Daylight threatened. If the English found him, he’d be murdered. Q1. What is the book's theme? Do vows make a marriage? When does a marriage become a marriage? A1. The sanctity of marriage and the power of sacrificial love. Several answers are true. Q2. What is the book's key point? A2. To show that no matter how desperate the situation, God is in control. Q3. What is the purpose of the story? A3. To show the necessity of commitment in marriage through hard times as well as good times. To show God truly leads His people in their journey through life. Q4. Do you understand more about the war between the Scottish Highlanders and the English that changed forever the Highlands of Scotland? Q5. Do you find it difficult to discover the will of God in your life? If you do, what can you do to make it clearer? A5. Romans 12:2 - Be not conformed to this world: but be ye transformed by the renewing of your mind, that ye may prove what is that good, and acceptable, and perfect, will of God. Q6. Do you think a very young person can fall into mature love, not just puppy love? A6. Yes, many couples meet in grade school and go on to a long, happy married life. Q7. What sacrifices did Brody make for Megan? What sacrifices did Megan make for Brody. Are you willing to make sacrifices for the person you love? A7. 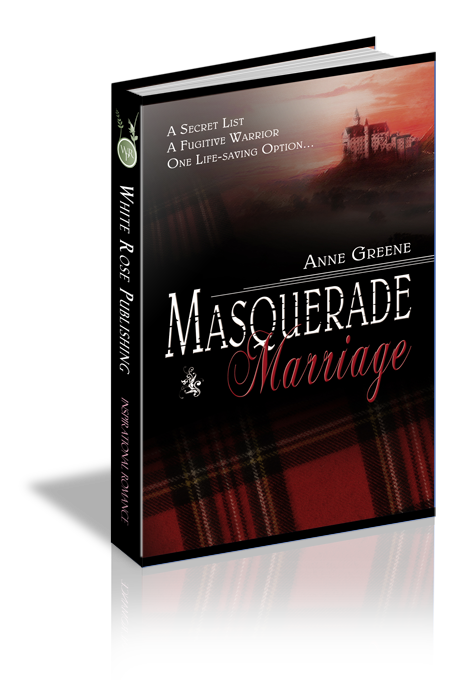 Brody gave up his identity and his pride and his Scottish heritage, as he collided with the foreign world of the gentry and lived inside a castle with a hated Englishman. He was willing to give up his life. Megan gave up her beloved Lowland estate, her warm family life, her wealth, and traveled to a hostile new world. Q8. Would your family accept a spouse for you they thought was beneath their station in life? Do you understand Megan's family's reaction to her new husband? Did Megan expect her family to welcome Brody? A8. No, Megan knew there would be trouble and just wanted to avoid bloodshed. Q9. Would you be able to forgive a parent who insisted you take a direction in your life you hated? Megan felt betrayed by her heavy-handed father insisting she marry a brutal Lord, but she worked through to forgiveness. Q10. Do you think Brody did all he could to protect his mother, sister, and the men under him at the battle? If not, what more could he have done?